We've been out and about with a review sample of the Panasonic Leica DG Vario-Elmarit 8-18mm F2.8-4.0 ASPH, the latest wide zoom for Micro Four Thirds users. The optic, which provides a focal range equivalent to 16-36mm in 35mm terms, is the latest addition to the Leica DG Vario-Elmarit F2.8-4.0 series. 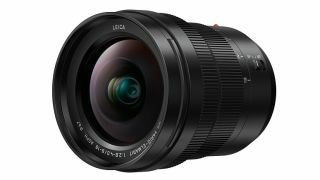 The line was announced alongside the development of the Lumix GH5 back in November, and has already welcome the Leica DG Vario-Elmarit 12-60mm F2.8-4 lens. Panasonic has stated that this will shortly be expanded with a 50-200mm telephoto zoom lens. The lens feature an optical construction that makes use of a single aspherical ED (Extra-low Dispersion) lens, three aspherical lenses, two ED lenses and an UHR (Ultra High Refractive Index) element, and makes use of Nano Surface Coatings to suppress reflection and minimise aberrations such as flare. Designed with a weather-sealed, freezeproof and dust-resistant body, the lens features circular diaphragm blades on the inside and a 67mm filter thread at its front. All images are full-resolution JPEGs straight from the camera, without any further processing applied, and all were captured using the Panasonic Lumix G80. All images © Future Publishing.